GU25 Area Guide - What makes GU25 so great? Where do GU25 locals go? Great for a long walk or a quick stroll. Provides the best backdrop for a round of golf in Surrey and probably the best wine selection for afterwards too. 2-4-1 desserts and quiz nights on a Thursday. Fantastic well priced selection of plants and pots. Knowledgeable and friendly staff. Great place to get your Christmas tree. Wonderful pub serving great British food, excellent service and in a gorgeous setting. Great food and a fantastic location with views of the Thames from the terrace. Running regular flight schools for both planes and helicopters, it also provides national flights, which helps serve businesses in the local area. The best independent bike shop in Surrey, with a great selection of bikes at reasonable prices. Delicious food, good service and a gorgeous place. A fantastic place to pick up tack and outdoor accessories for the horse lovers amongst us. Serving the best scallops in Woking and only a two minute drive from the centre, so a great choice for a walk followed by lunch. Sprawling entertainment venue with a high-tech driving range & swanky lounge with drinks & games. Just north of Woking town centre, with walks leading to Old Woking sand quarry. A great place to take the dog! Pick your own fruit and veg, Gelateria Danieli ice cream hut open spring/summer and a good farm shop. Picturesque National Trust site along the canal. Share your favourite place to go to in GU25. "Notorious female cutpurse and pickpocket, Mary Frith reveled in exaggerated tales of her disdainful work. In a colorful life, she was a thief, pimp, fence of stolen goods, appeared on the stage, had 2 plays written about her and perhaps most dastardly of all, won a bet by riding from Charing Cross to Shoreditch dressed as a man." 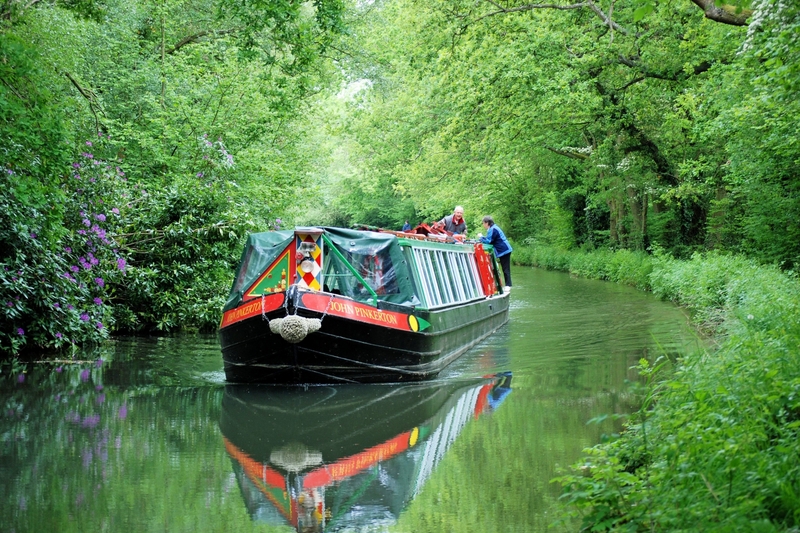 Watching the narrow boats sail along Basingstoke Canal is a real treat and gives Woking its countryside appeal. There has been fantastic development around Jubilee Square in the past few years. Woking's centre offers plenty of shops and entertainment facilities, but with plenty of greenery surrounding it. It's close to London but rural enough to still be counted as the 'countryside'. Easy commute into London and friendlier people as not so busy and rushed unlike central London areas. What do you think of GU25? GU25 is the postcode district in Surrey incorporating the areas of Virginia Water, Wentworth and is covered by the Runnymede local authority. What are your favourite things about GU25? Find out how much your flat or house is worth om GU25. Feedback about living in GU25 has been submitted directly by the public and may not neccessarily reflect the views of Foxtons. The description of GU25 was modified from Wikipedia and is available under the Creative Commons licence. Land Registry data is Crown copyright. All the views and contributions contained within Foxtons Local Life are those of the contributors. All content is assessed before publishing for taste, however free opinion is encouraged. Foxtons accept no payment or sponsorship for content that is posted about GU25.